The Darkest Faerie Phenomenon: Are We Really Safe? 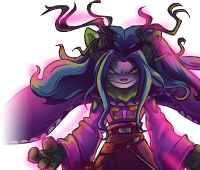 Since the rediscovery of Altador in Year 7, we Neopians have been dealing with a very serious evil known as the Darkest Faerie. It’s said that she is the most powerful, yet dangerous, faerie in all the lands, and this journalist is in complete agreement. Immortality is a strange thing.